Colon Hygiene Institute gives understanding how digestive system works Las VegasColon hydrotherapy is a completely natural treatment that is enjoyed by thousands of people every day, from celebrities and film stars to ordinary people of all ages. It may seem a little strange at first, but the more you learn about the treatment and its many benefits, the more you’ll see that it is a very normal and natural way to take care of your health and well being. 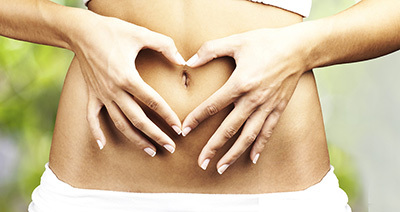 In order for our clients in Las Vegas to appreciate its benefits, Colon Hygiene Institute suggests understanding how the digestive system of the human body works. The human digestive system is over twenty feet long from end to end and converts the food you eat into the nutrition your body needs, before eliminating any leftover waste. It is a complex process that can easily be disturbed, causing familiar digestive problems. Let’s look at the parts that make up the digestive system. The stomach and small intestine break down and absorb nutrition from the food you consume. This is done through mechanical and chemical processes, including chewing and churning, and the release of acids and enzymes. By the time the mixture leaves the small intestine, your body has absorbed 95% of the available nutrients. The colon absorbs water and nutrients from what’s left as it passes through. The colon also works to make this waste safe by neutralizing the digestive acids and enzymes, so they can pass out of your body without causing damage. Bacteria in the colon works with the waste to produce essential vitamins, such as biotin and vitamin K. They also ferment the waste, producing around three pints of gas every day. It normally takes food around 24 hours to work its way through the digestive system. Problems occur when the transit time is either too fast, causing diarrhea, or too slow, causing constipation or bloating. This can be caused by poor diet, disease or infections, as well as by lifestyle factors such as lack of exercise, irregular eating and missing meals. As well as physical causes, digestive problems can also be the result of stress and emotional issues. There is a strong link between the gut and the mind, which is seen in our everyday language in phrases such as ‘butterflies in the stomach’ or ‘stomach in knots’, which reflect the way our state of mind can adversely affect our normal digestion. If you fight digestive upset on a regular basis, maybe you should look into colon hydrotherapy. Colonics are a great way of encouraging your colon to work normally again, while your therapist encourages you to reconnect with your body and make the changes you need to avoid future problems. Whether or not you believe in colon hydrotherapy as a method of eliminating toxins from your own body, it’s at least worth a try. The worst that can happen is to achieve a peaceful feeling of wellbeing and ultimate clarity. There is nothing to lose except the old waste hidden deep within your colon. For more information, or to make an appointment in Las Vegas with Colon Hygiene Institute please call 702-870-0704.